Where are you orienting from? It’s 2001 and I’m standing on an elevated ridge in the White Mountains of Maine in the United States. My map is laid out in front of me on a flat rock, and with compass in hand I’m triangulating our group’s location. We are about to immerse our team into a thick deciduous forest for about 15 miles. The orienting calculations we make now have everything to do with our success of getting to our extraction point before we run out of food and fuel. It’s these fine measurements here on this ridge that will allow us to be successful later on. And with the right understanding of our location right now, we can calibrate each bearing, shoot from tree to tree, and plot an accurate course through the forest. Fast forward, and today the terrain of exploration has shifted from that deciduous forest to the complex and beautiful landscape of my clients’ inner worlds. While mountaineering, coaching and leading all appear different enough on the surface, they all present similar challenges. One of the biggest similarities is the need to have an accurate understanding of where we are orienting from. Whether we are leading a team through the wilderness, leading an organization through challenging times, or scaffolding clients to achieve the most meaningful changes in their lives, our orienting reference points inform where we can ultimately go together. To effectively move forward, we need to understand our present locations. To make progress we need to know where we are advancing from. And to expand or develop new abilities we need to understand what skills are already available. Understanding our own developmental orientations is key for effectively navigating our lives, and it is critically important for coaches, because development is always powerfully influencing every facet of our lives. Within the territory of coaching, our developmental orientation is a prerequisite for how we coach our clients. And our understanding of our clients’ development is the foundation that our coaching is built on. As a way to begin, try glimpsing into the complexity of your own development. Now you’ll notice, I asked you to glimpse into the complexity of your development. I didn’t ask you about complicated developmental ideas. And I didn’t ask you to pin-point yourself on a developmental scale. Many of us who are part of the conversation about development today make the mistake of too quickly classifying ourselves developmentally. In doing so, we miss complexity and instead engage with facets of ourselves that are complicated. Instead of relating from and with ourselves as fluid, dynamic and changing, we presume ourselves to be static and fixed, albeit complicated, human beings. Many of us learned a developmental theory and tagged ourselves at a particular stage. Or we took an assessment delivering us a tidy developmental location that we’ve kept in mind ever since. It is true that rigorous developmental thinking must be grounded in sound research and robust models. However, all too often once we get a whiff of how to locate ourselves and others, we are off to the races cataloging and classifying the rest of the people, groups, teams, organizations, cultures and countries around us. It doesn’t take long before we believe we can see the entire world developmentally. As a starting point, this can be a good thing; however, we must go further—especially if we’re interested in fulfilling our potential as coaches. To go one step further, focus your attention into yourself. Get curious about yourself as a dynamic set of living developmental processes—not a location. Abide in the mysterious, profound and often humbling developmental nuances of who and what you are. Surprise yourself. Discover yourself anew, even in the everyday contours you enact day-in and day-out. Your investigations into your own living developments can up-level what you provide interpersonally with your coaching clients. This is because masterful developmental coaching requires us to advance and evolve our relationship to development. We must penetrate the more static abstract ideas of development and get into relationship with the fluid, changing and living contours of development. Our view must go beyond fixed and firm developmental locations and participate with ongoing developmental processes. This breaks us free from the more abstract and conceptually rarefied developmental distinctions some of us get trapped in. When we do this, instead of the neat and conceptually tidy realm of development, we discover a mysterious living ecosystem with multilayered expressions of development in processes of ongoing change. In the mastery end of developmental coaching spectrum, we no longer understand ourselves as inhabiting one location developmentally. Instead we are perceiving and participating with the living, uncertain, and dynamic variability of development. Skillfully operating on our client’s developmental complexity means that we’re able to see, hear, feel and think about developmental movements as they occur in real time—both in ourselves and our clients. We are attuned to experience our multiplicities, and theirs—which is to say, we experience how we’re inhabiting multiple developmental locations or aptitudes in every moment. Put simply, you discover that you are not singular. You are plural. And this plurality becomes a living quality that guides how you relate with the complexity of your clients and yourself. Developmental coaching at the mastery level has outgrown the comfort of static, firm and consistent ideas about ourselves and our clients. And this is what makes it masterful—it holds a higher resolution view (more accurate) perception of our clients as complex, living developmental processes. To do this we as coaches must inhabit our own dynamism. Doing so is itself a participatory act of development that yolks us towards more complex aptitudes that we, our clients, and our world may very well need. Inhabiting our own mysterious dynamism we attain a more adequate vantage point on the immediate surrounding terrain of ourselves and our clients. With these more accurate perceptions, we can orient more effectively, understand what’s realistic and possible. We are more creative, and we are more fluid. This leads to more ingenious design, better planning, more robust strategies, and more vibrant and diverse expression of ourselves and the people around us. All of which ultimately supports better outcomes—not merely better tactical and strategic outcomes, but aesthetically enriching and ethically robust advances. All this goodness can flow organically from our intimate enactments with our own vibrant developmental processes. So, as you finish this blog post, peer in. Where are you orienting from? How about now? 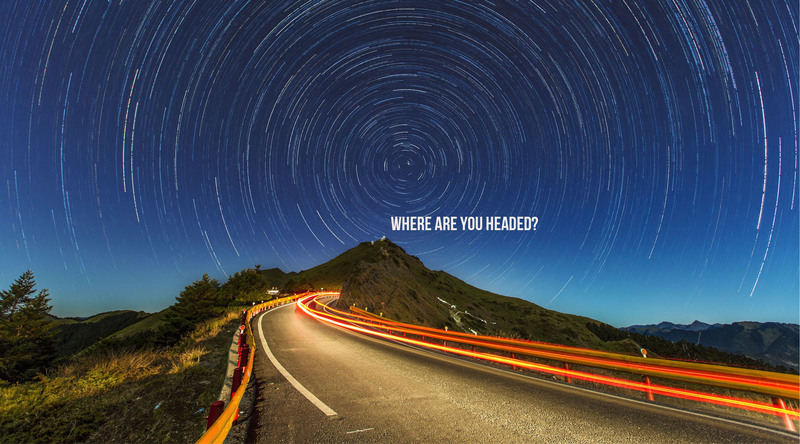 Where are you headed right now? What are you in this moment? And, what capabilities are you enacting? If you look closely you’ll see all these are in flux, and that’s a good finding. Rob McNamara is a faculty member of the Integral Facilitator Certificate program, a Leadership Coach and author of The Elegant Self. A leading expert on adult development and human performance, his coaching services help individuals increase their scope of influence where it matters most personally and professionally. Join Rob for a 12-week advanced Developmental Coaching Mastermind, starting on October 5th, 2017. This is a rare opportunity for 15 coaches to be part of advanced professional coach training with Rob, where you will grow and refine your mastery as a coach, as well as focus on how you can provide rigorous, grounded and accurate developmental coaching with your clients. Click here for information and to register for the program. For many of us, the experience of adulthood involves what I call “completion projects” in The Elegant Self. Completion projects are our unexamined drives to become (or appear) more whole and complete. Because they are unexamined, they are the unseen agendas that appear to have most of us. Adult Development expert Dr. Robert Kegan refers to what has us as that which we are subject to. This is in contrast to what we hold as objects in our experience. Objects are what we have, or can manage as parts of our experience. On the other hand, what is subject is a pervading quality throughout all our experience. For most of us, our completion projects are not objects in our attention but are actually part of the subjective fabric of our identities. Completion projects, in their various flavors and forms, are part of who we are that is doing the looking, thinking, deciding and acting. These projects often mediate us. Our completion project isn’t the kind of explicit undertaking you have at work, which you can work on, then put down to go home or engage another project. For most of us, completion projects are the operative norms behind most of what we do in our waking lives. Wholeness and completeness are intoxicating ideas. As experiences, they become even more seductive. When we complete large initiatives in our lives, we tend to relax. Whether it’s completing a new certificate program, getting a degree, landing a new job, or being chosen for a key promotion, there’s a sense of finishing what has been challenging us in meaningful ways. With the validation of the completed accomplishment, our nervous systems relax as we release the gas pedal of effort and action. Once achieving a completion, there’s a sense of greater wholeness. These experiences are fleeting, but enjoyable. We expand, we feel bigger, and we hold more in our interiors as we peer upon what’s now both inside of us and behind us. What completion projects reveal is how we weave narratives that illuminate our biases toward stability. Socially it makes sense to be predictable. We are often rewarded for being consistent. The more stable we appear, the more trust people grant us. When we present a steady and stable self, we gain social capital. In all of these instances, the quiet and pervading agenda to present ourselves as more whole and complete is at work. Although our conceptions of ourselves tend to privilege wholeness, developmental research reveals we operate far from this stable, predictable self. Decades of research conducted by Kurt Fisher at Harvard’s Graduate School of Education reveals that who you are, and what you are capable of is always embedded in social, cultural and environmental contexts. These shifting surroundings change the ways you know yourself. And, changes in conditions around you shift what you can and can’t do. This means that in reality, we are always in constant flux—despite the allure of our bias for stability. This sense of being in constant flux is heightened when we peer into our developing aptitudes. Looking at how we step into new capabilities, we’ll find that our personal and/or professional lives are often demanding that we find a different landscape. When growing new skills, our abilities need to fluctuate. Sometimes these fluctuations are dramatic. With these changes in ability, our sense of self fluctuates, While our ability to perform a given skill set can become more consistent in varying contexts, the path of development is littered with instabilities as we vacillate between old ways of functioning and new emerging skills we likely need. While stability may be a consequence of practice, and may even be something we value highly, we ought not over-value it against instability. Because our instability is actually a sign that we are growing. If we are to more readily develop ourselves, we are all wise to welcome our instabilities. It may even be to our advantage to encourage and actively seek out our instabilities, because these areas may yield important developmental adaptations over time. So it’s important to put down our completion projects and suspend the drive to consolidate identity around our competence and more fixed skill sets. We can be kinder to our own and to other people’s growing edges, where we risk feeling inadequate, insecure and uncertain. If you’re committed to being a more capable, compassionate and influential human being, and if you also want to support other people to generate more goodness, truth and beauty, then allow yourself to fall into the unknown contours of what’s next—and what’s just out of reach. Allow yourself to let go into the free fall of not being entirely certain about who you are. The rewards might just be a more elegant life for all of us. Join Rob McNamara for a 12-week advanced Developmental Coaching Mastermind, starting October 2017. This is a rare opportunity for 15 coaches to be part of advanced professional coach training with Rob, where you will grow and refine your mastery as a coach, as well as focus on how you can provide rigorous, grounded and accurate developmental coaching with your clients. Click here for information and to register for the program.